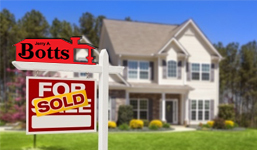 Real Estate Services – Botts Construction, Inc.
Our construction managers are also experienced and licensed REALTORS®. This makes them uniquely qualified to assist our clients with both the purchase of a property and the desired improvements. Our clients appreciate our honest and practical insight when contemplating a real estate purchase or preparing a property to be sold. Through the combination of our real estate and construction resources, we can provide the property that you want and avoid unpleasant surprises. Visit Botts Real Estate & Auction Co., or call Joey or Spencer Botts at (270) 651-1592 for more information on the full range of real estate services that we offer. Botts Real Estate & Auction Company has been serving the needs of Glasgow-Barren county area since 1972. Our firm is committed to offering the best in professional service and personal attention. The business of purchasing or selling a home has become extremely complex over the years. The legal paperwork involved can be very daunting for anyone. We expect to make the transition a smooth one without the errors that often arise from inexperience and improper knowledge of the real estate sales industry. Our firm offers a full range of professional auction services and private sales services. While serving you to the best of our ability, our goal is to build and maintain lasting relationships and a successful business.